Ships today if you order in the next 8 hours 1 minutes. 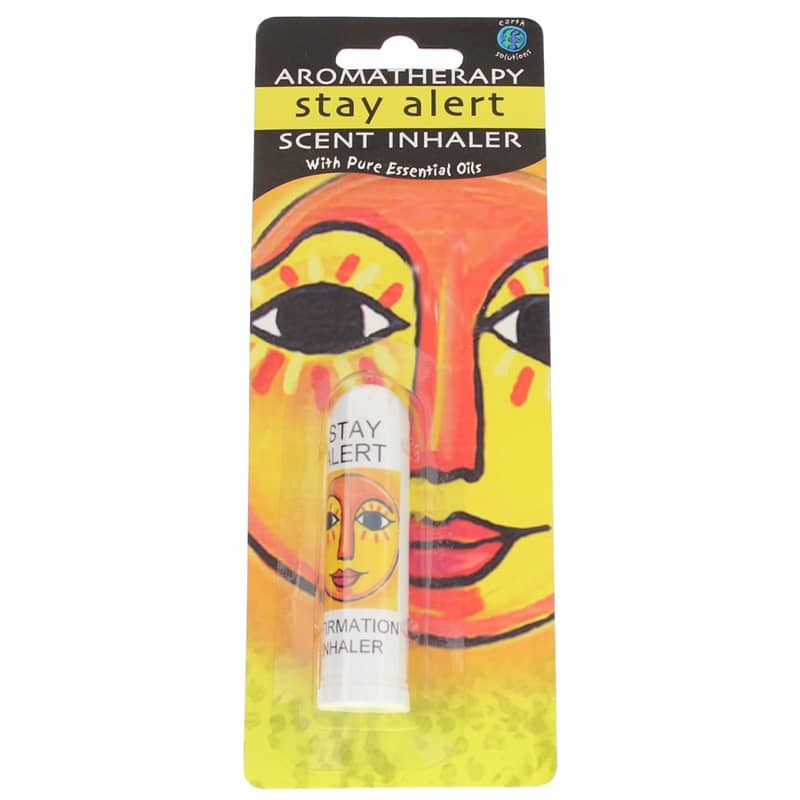 Stay Alert Aromatherapy Scent Inhaler with Pure Essential Oils by Earth Solutions is a handy aromatherapy inhaler for uplifting thoughts. Enjoy less fatigue with essential oils that are robust and invigorating as your thoughts move to a place that is joyful and awakening. 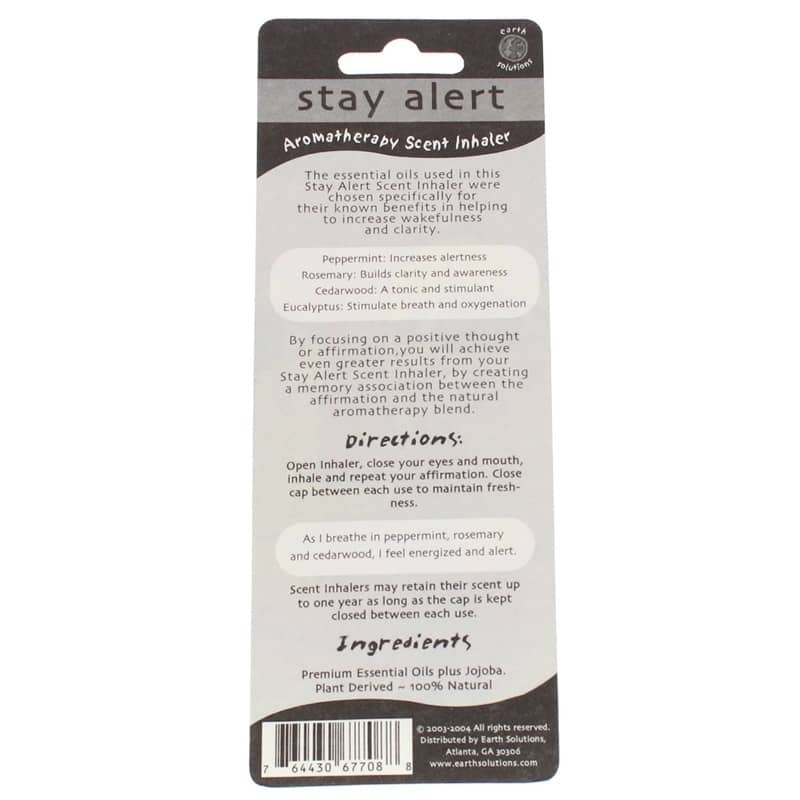 Premium essential oils of Peppermint, Rosemary, Cedarwood, Eucalyptus plus Jojoba. Plant derived. 100% natural. Adults: Open inhaler, close your eyes, breathe in and repeat the positive affirmation "With each inhalation I feel energized and alert." To maintain freshness keep cap closed.